Congratulations on being invited to speak at the 2018 Prosperity Summit! The Summit Speaker Service Center is a one-stop-shop dedicated to you, our conference speakers. 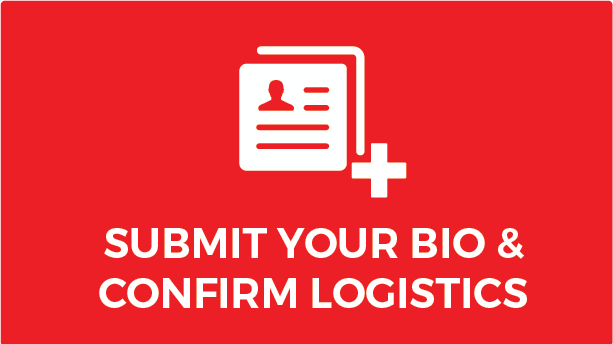 You'll be able to manage much of the information for your session here including submitting your biographical information, uploading handouts and presentations, viewing important deadlines, and much more. If at any time you require assistance or have questions, please do not hesitate to contact your Prosperity Now Session Manager directly. Thank you in advance for meeting the necessary deadlines and volunteering to serve as a conference speaker. We look forward to working with you! 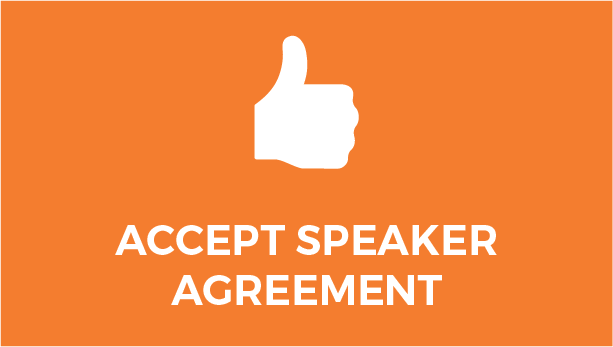 Before May 15th: Agree to be a speaker at the 2018 Prosperity Summit by clicking the thumbs up and submitting your Speaker Agreement Form. As a token of our appreciation for your participation in the Summit, you are entitled to one complementary non-transferable Summit registration (a $935 value). After you submit the speaker agreement, you will receive a case-sensitive registration code from your Prosperity Summit Session Manager that you will use to register at the complementary speaker rate. 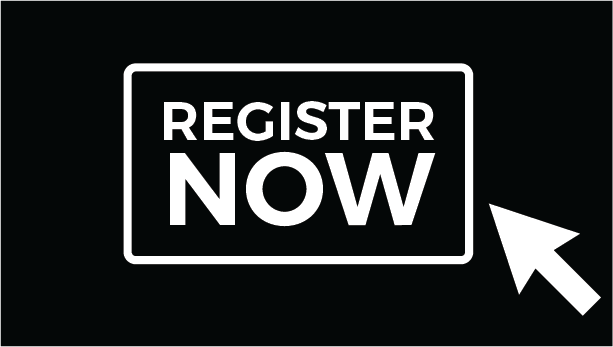 Register Today: After submitting the Speaker Agreement, please allow up to a week for your Session Manager to send you the speaker registration code. Once you receive this code, you will need to register for the Summit (please note that you will not automatically be registered!). On the identification page or FIRST page of the registration process, you will simply enter your speaker code in the Registration code box (remember, your code is case-sensitive). The price of registration will be adjusted at check-out to the complementary speaker rate. You'll also need to book your own hotel and travel! Why wait? Click here to book your hotel room and get travel and transportation information, including discounts! Before June 29th: Speakers must submit a brief biographical profile for inclusion in the Summit materials, as well as audio visual requests for your presentation (each session room will be equipped with an LCD projector, screen and laptop). Speaker bios must be 150 words or fewer. We recommend that you focus on your experience and expertise that relates to the topic of your session. Prosperity Now reserves the right to edit and format biographical submissions for consistency. Form is no longer available. Before August 10th: So that we can have your session room ready to go, and include your materials in our Summit app, speakers must submit any handout(s) and presentations (PowerPoint, Prezi, etc.) ahead of time. You are welcome to distribute hard-copy handouts if you wish, but will need to bring those yourself. Prosperity Now will upload presentations onto the desktop of the laptop in the session room you will be presenting in. Please click the "Upload" button at left, and then follow the document and presentation name guidelines outlined. 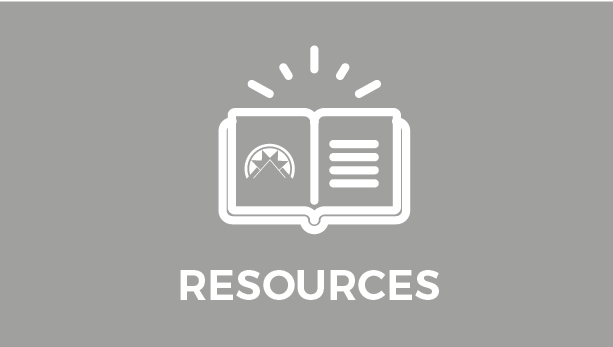 Be sure to check out the resources available below including the 2018 Prosperity Summit PowerPoint template. 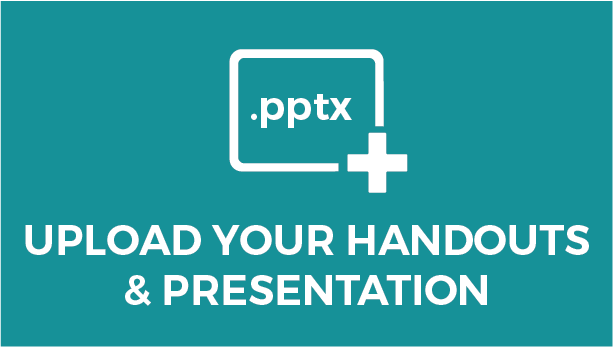 Click here to upload your handout(s) and presentation. Resources include a style guide, PowerPoint template, guidelines for disability friendly presentation, Speaker Ready Room information and more! These will help you get the most out of your experience and deliver an exceptional session. template. Please note, the standard PowerPoint format is 16:9. The template is this size. If your presentation isn't this size, it's okay - there will just be a blank space/border around your slides. Click here to get 2018 Prosperity Summit resources. Nonprofit organization with less than $5 million in revenues OR 25 employees or less (based on the most recent annual year). To complete your stipend request, you will need to submit your organization's most recent 990 OR current year budget and the number of FTEs per your most recent payroll. Your primary place of business is more than 25-miles away from the Summit venue, the Gaylord National Harbor Resort & Convention Center, in National Harbor, MD. 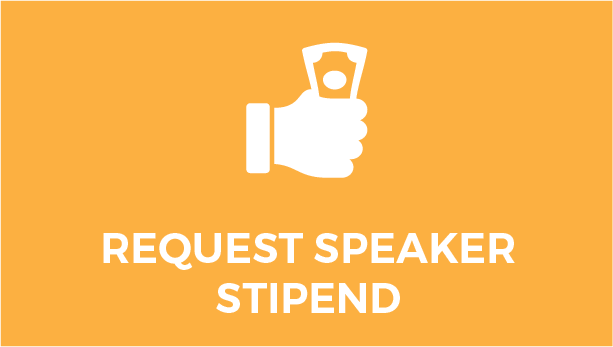 If you meet both of the speaker stipend criteria, please click on the "Request Speaker Stipend button and complete the form. If you are eligible to receive the stipend; all requests will be processed 2 - 4 weeks after the deadline of September 12th. You must attend the Summit to receive the stipend.